Since 2010, small businesses have taken advantage of Small Business Saturday – one of two days between Black Friday and Cyber Monday. This year, Small Business Saturday is on November 26th. Powered by American Express, Small Business Saturday is a day that each and every individual can give back to their own communities. According to the National Federation of Independent Business (NFIB) and American Express, 95 million people went out to shop at small businesses last year, collectively spending more than $16.2 billion. In the referenced article below, Facebook business provides five tools to help make your small business Saturday a success. Consequently, I’m also here to offer three additional insights to make the day more successful. Target your highest propensity to purchase consumers. Sending a great message to an audience is vastly important; however, make sure that the message is sent to consumers who are thoroughly interested in your product. Even though you’re gaining awareness by reaching everyone, you do not want to waste money on people who aren’t willing to spend money on you. Advertise Small Business Saturday accordingly. Make sure that your audience knows what specials or deals you’re running for that day specifically. You can do this by advertising through the ideal medium. Figure out what your target audience did last year. Base it off of individual statistics: what were your gross sales? How many transactions did you do? There are many questions to answer before the 26th arrives. 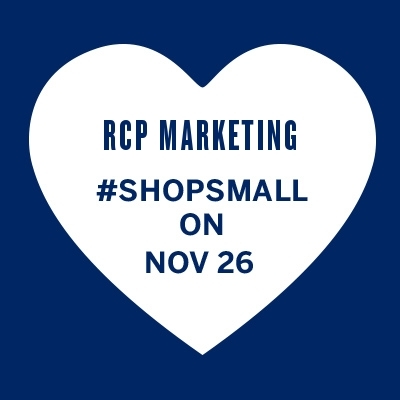 Visit the webpage, https://www.americanexpress.com/us/small-business/shop-small/ to learn more about how you can get involved with Small Business Saturday. Enjoy the holidays! Previous Post6 ways Pinterest will make your holidays a little easier!